I recently attended a Soil Awareness course hosted by the Environment Agency (EA). The course was set up to offer those who had been in breach of regulations an opportunity to retrain instead of receive a fine. My presence there was, thankfully, not because I was in trouble with the EA but as a presenter on the course. However, talking with the farmers on the course revealed a common problem related to the production of potatoes. To maintain quality and control disease, potatoes are grown in rotations often at intervals of up to one in six years. This sometimes means renting unfamiliar land or using land where the farmers have less control over long term soil management planning. 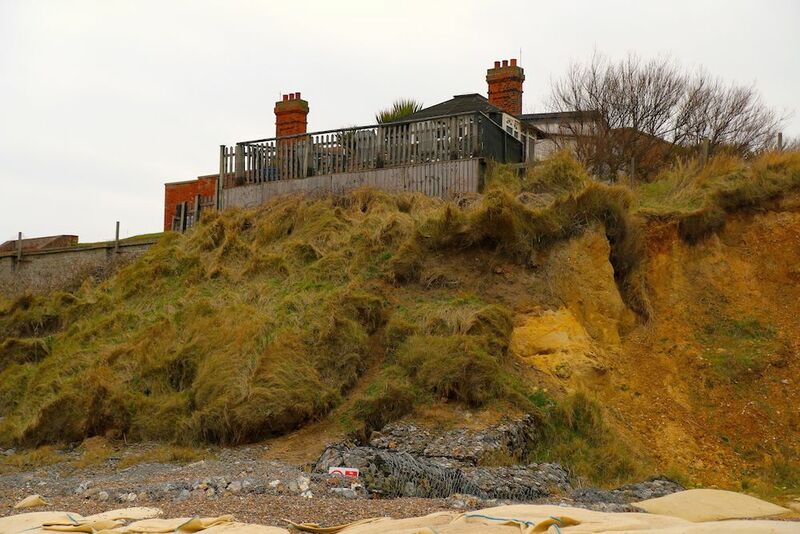 The consequences of which can lead to a loss of soil following heavy rainfall and a knock on the door from the EA for breaching environmental regulations. From the potato industry’s perspective this results in two important losses: the loss of the growing medium and the loss of water. The loss of water is particularly critical here as commercial potato production is highly competitive demanding high quality product to obtain best market prices and is therefore particularly importance for varieties where scab control for skin finish is important. If climate change predictions are right, improving soil moisture retention (the ability of water to move into the soil and be held there) is vital. At present we have the luxury of being able to irrigate in order to compensate for any water shortages and to achieve better profit margins for producers. Irrigation varies around the UK. In the East of England 80% of the potato crop is irrigated while in the South West the figure is 17%. However, if climate change increases the demand for irrigation there is no guarantee that abstraction licences will be available because of rising competition from other sectors. So how can farmers reduce soil loss and increase water retention on land that may only be under their control for a short period of time? The solution may already exist but as with so many other solutions at present we lack the evidence to confidently say that it can improve water retention while at the same time either maintaining or improving the potato crop yield and quality. This uncertainty prevents uptake and who can blame farmers when it involves investment in new equipment and an uncertain impact on the market price of the product. The potato industry does however realise the importance of change and are taking the lead in instigating the research which will help with proof of concept. Greenvale (one of the main potato suppliers for Sainsbury’s), in collaboration with NIAB-CUF and Cranfield University are undertaking research into the optimization of soil and water management for the intensification of potato production. The key considerations of this Sainsbury’s R&D funded project are to optimise irrigation scheduling and efficiencies and consider the impact of different reduced tillage techniques on yield and yield quality. In addition my colleague Rob Simmons is focusing on understanding and managing runoff and erosion during irrigation and rainfall events. The results of runoff trials in 2015 has shown that post-desiccation, in excess of 30% of an extreme rainfall event runs off the potato ridges irrespective of tillage, depth, web-size or re-ridging vs non re-ridging pre-emergence. In 2016, runoff trials will consider methods that could be used to reduce this amount of runoff throughout the season including different tillage techniques and the use of an Aqueel. 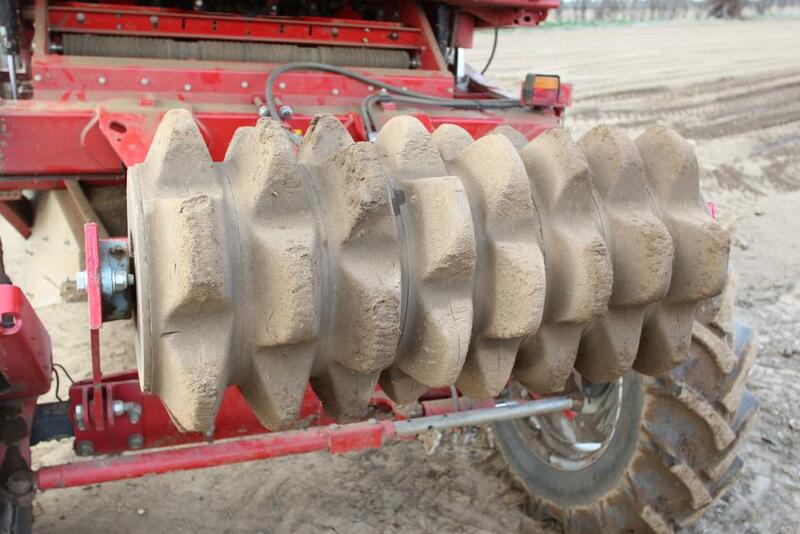 The Aqueel produces shallow surface depressions in the soil. Used on the surface of the potato ridge these depressions will increase surface depression storage on the ridge allowing time for the water to infiltrate into the soil rather than run off. The Aqueel has previously been looked at in terms of its ability to control runoff but had not been considered in terms of irrigation efficiency in the UK. Dealing with runoff in wheelings is also important. A wheel track roller will also be used to reduce water runoff from wheelings. Leading tines breakup soil compaction at the edge of the wheeling and the concave shape to the roller drains water from the centre of the tramline to the edge where mini reservoirs created by the roller hold the water. This allows time for water to infiltrate into the sides of the potato ridges and some of this water may also rise up into the ridge pulled up by capillary action. As with any research, the combinations that are investigated are limited by time and resources. The focus is on main crop variety Estima and salad variety Perline. The potatoes will be planted using conventional practice, to which Aqueel, wheel track roller and Aqueel and wheel track roller combined, will be applied. These approaches will be used on two farms with erodible soils, in Suffolk and Hereford. The use of the Aqueel in combination with the potato planter and re-ridger will be considered to ensure it is used efficiently and at optimal times and will benefit a range of systems. Runoff from both irrigation and rainfall will be monitored pre-emergence to harvest via a fully instrumented field trial set-up. At the end, yield and yield quality will be compared in order to assess if there is a commercial benefit to implementing any of these changes linked to improved infiltration of water or optimisation of irrigation and/or rainfall. If proof of concept is proven then the plan is to upscale the experiments to other sites and other growers. Also, there will be a need to look at an engineering solution to make the system as flexible and adaptable as possible to suit a broad range of potato bed styles. The potential positives from this could include more effective utilisation of irrigation/rainfall by keeping the water on the ridge and/or directing water from the wheeling into the ridge. In turn this will reduce runoff and erosion losses. Potential water saving and even reducing the demand for additional irrigation has a direct economic benefit to growers. Ideally these ideas will improve efficiencies and minimise environmental impact. Importantly, though, the study will evaluate the economic implications of these measures and provide the evidence that the growers require to make an informed decision about soil and water management. How do I reference… a journal article? Lynda graduated in Geography from the University of Plymouth and subsequently studied for a PhD in Physical Geography at the University of Plymouth. Her PhD, which investigated preferential and matrix flow in a mole drained soil block lead on to a Post Doctoral position based at the University of Plymouth and Institute of Grassland and Environmental Research at North Wyke, Devon. Following on from this Lynda was based at the Scottish Crop Research Institute, Dundee, know part of the James Hutton Institute, where she was responsible for coordinating an experimental program relating to hydro/chemical modelling across a range of physical scales from sub 1 cm2 to 1 km2. She joined Cranfield University in May 2003 as a Research Scientist based at the North Wyke office in Devon. Lynda still remains a Devon based member of Cranfield University. Her current research interests include: causes, consequences and remediation of soil compaction; visual soil assessment; soil erosion and its mitigation; and sustainable soil management.